Multiple bar hooks provide flexible use of benches for flat, incline, and 90 degree positions. 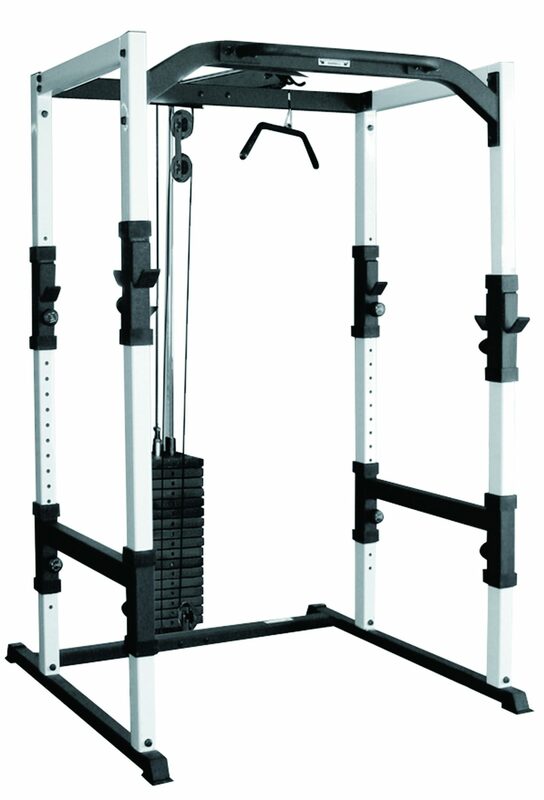 This unit comes standard with a Chin-up bar. 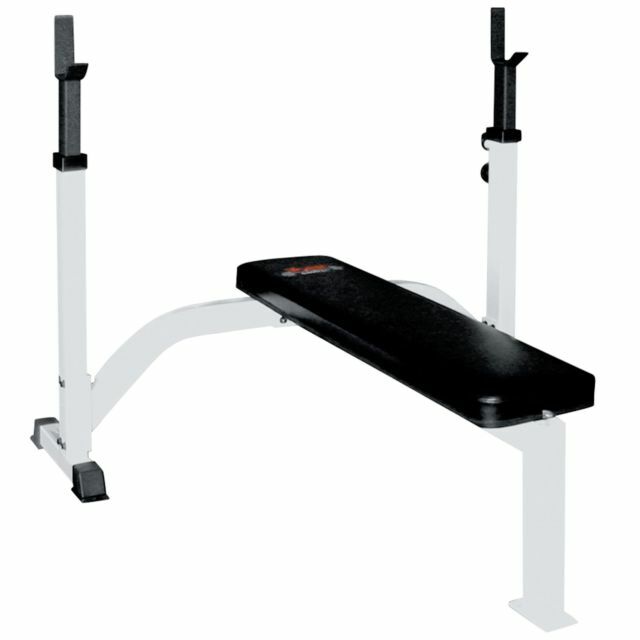 A standard weight carriage comes with this unit which accommodates standard or Olympic size plates (with adapter). The addition of the Hi-low Pulley Option (#48054) creates a multi-functional work station (Shown). 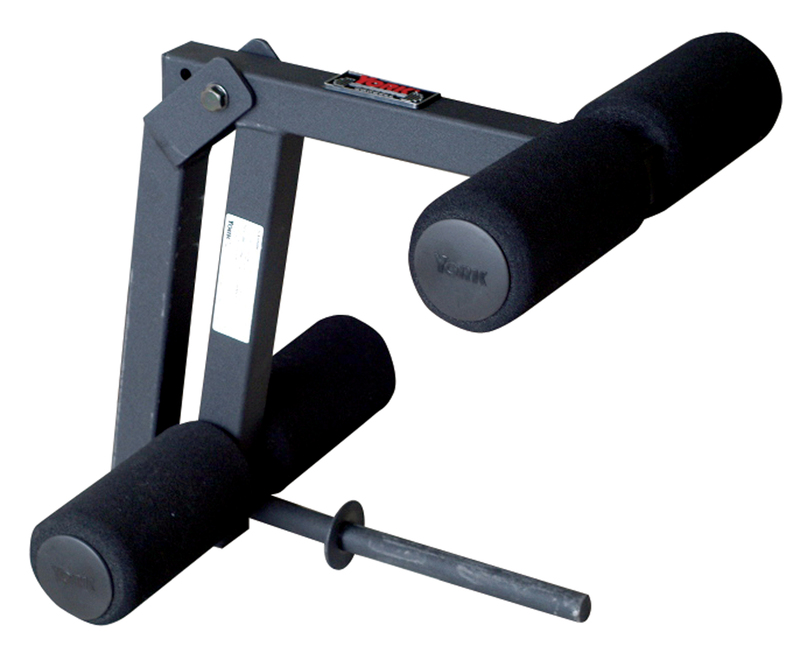 200 lbs weight stack (#48056) available to replace the standard weight carriage on the Hi-low Pulley Option (Shown). 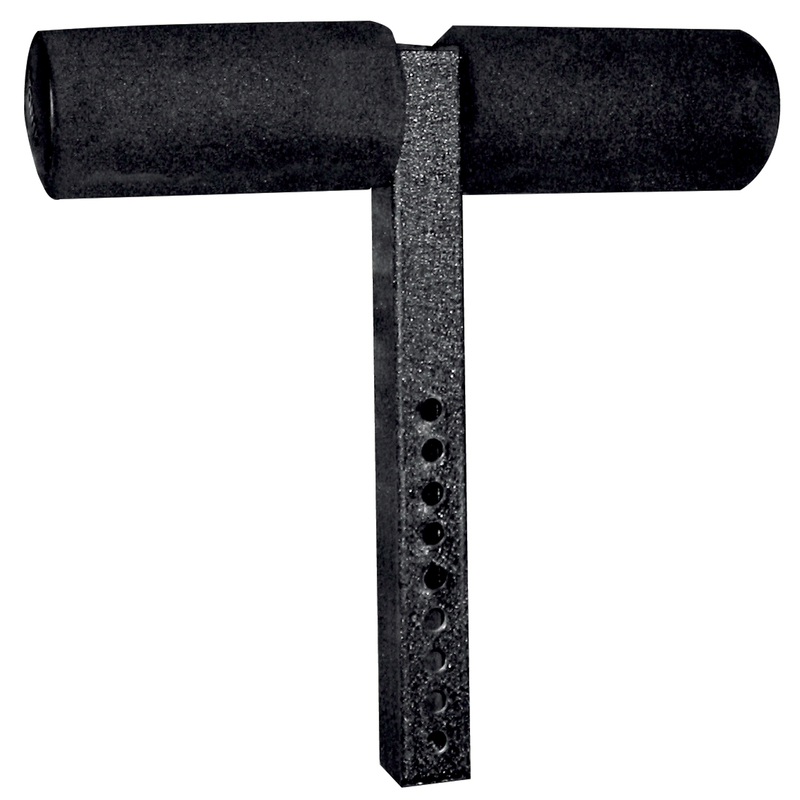 Optional 2” Olympic Adapter Sleeve available for use with Olympic Plates (#48010) for the standard weight carriage.